Liked Florian1986’s post in the thread Deutz DX 90 mit Stoll Frontlader / Deutz DX 140 / Deutz DX 230. 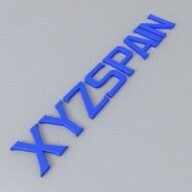 @XYZSPAIN I have to think about it. Right now I don't have any time to finish already started mods. I can't promise You anything. I will let You know when I decide. at least you can access the settings screen and when I click on it application crash, someone knows why. au moins, vous pouvez accéder à l’écran des paramètres et lorsque je clique sur la un crash de l’application, quelqu'un sait pourquoi. @Olhund please add an image as I do not understand what you want to say, on the previous page there are the steps to follow and only tractors with attach rear, front and front loader are necessary.